Senior year is a parade of lasting moments: The last Gala. The last class. The last meal in Commons. The last night with friends. He’s referring to his mom and dad, Brenda and Mark Depew of Hudson, Ohio. 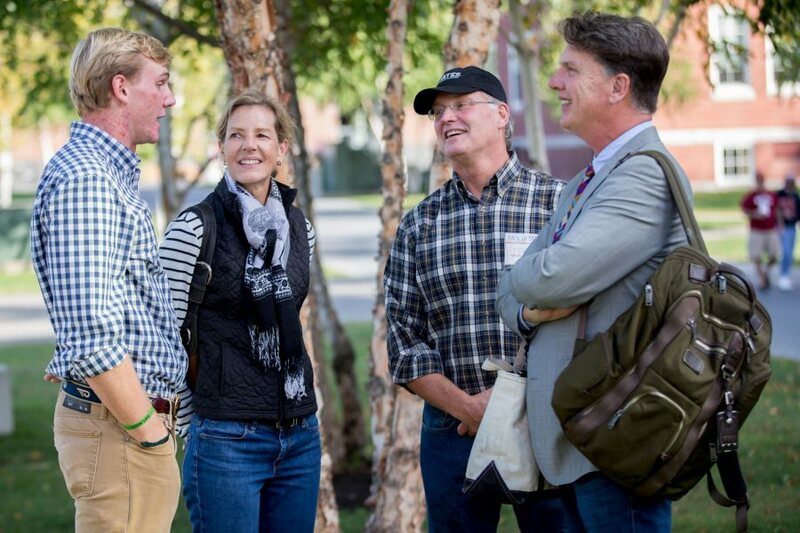 In fall 2008, the first of their four children, Nathaniel ’12, arrived at Bates. At two-year intervals, he was followed by Emily ’14, Caroline ’16, and, finally, Jonathan. Bates’ Commencement on Sunday, May 28, will be livestreamed beginning at 10 a.m. Which means that Mark and Brenda have moved to the beat of Bates life for nearly a decade. 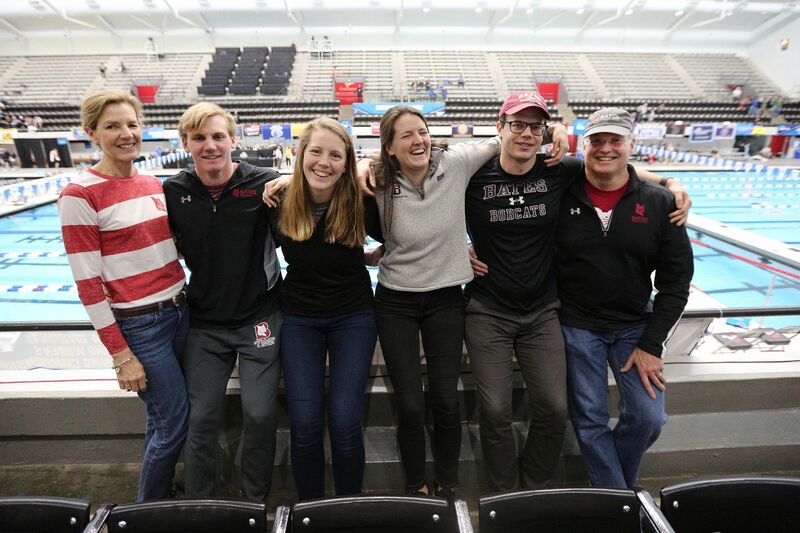 And it’s been a strong beat: All four Depews have been varsity swimmers at Bates, with their parents mighty involved with and supportive of the program. “Mark and Brenda have played a big role for the team since Day 1,” says Peter Casares, head coach of swimming and diving. The very first Bates sibs were the Stockbridge brothers of Mexico, Maine. Winfield graduated in the first Bates class, in 1867. He became a preacher and, later, a restaurateur in Washington, D.C.
George Stockbridge graduated in 1872. He was a mathematical engineer, patent attorney, and a published poet. Jonathan graduates Sunday with a mathematics major and geology minor. He’s also a FAA-certified drone operator and has been a leader in the college’s Big Brothers/Big Sisters “Cats and Cubs” program. The Depews aren’t the only ones affected by the end of an era at Bates. “They’ve supported their kids and all the swimmers,” Casares says. “They came to every meet. They organized parent groups and senior dinners. They’ve made gifts to the program and helped us chase after things that this program needs in order to improve. 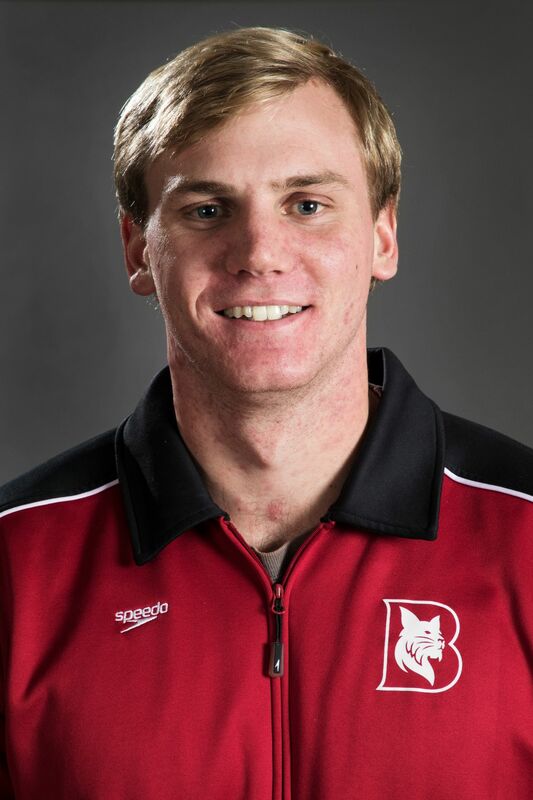 In an era when cautionary tales abound about parents, their children, and sports, the Depews have always been part of the solution for Casares, his swimming and diving program, and the Bates athletic department overall. It’s a bittersweet time of endings. But also beginnings. Yep, it’s a bittersweet time of endings. But also beginnings. Jonathan heads to Boston for his first job, with Toast, Inc., a cloud-based restaurant software company. And in August, Nathaniel will get married, to Katelyn Drake ’10.